Chris Bertinshaw began consulting in corporate governance in 1988 and established Corporate Governance Systems (www.bertinshaw.com.au) in 2010. Chris has specialist qualifications in corporate governance and is a Fellow of the Australian Institute of Company Directors. He has facilitated their courses in Australia and overseas. He is a specialist school governance trainer, accredited with the NSW government and has worked with over 20 schools. 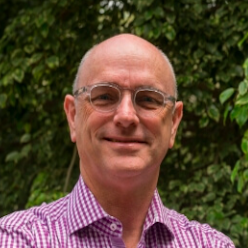 Chris is Chairman of Relationships Australia NSW Limited and the Australasian Spinal Cord Injury Network Ltd. Former appointments include directorships of Foodbank NSW Limited, NSW Health Funds Association, HIRMAA and many others.